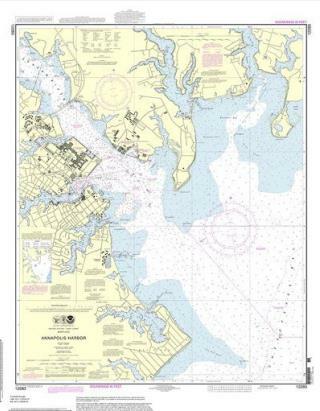 (Newser) – The digital age is doing away with a mariner tradition: The federal government will stop printing old-school nautical charts this April, reports NPR. Those would be the 3-by-4-foot paper charts that nobody used much more anyway, notes AP. Instead, boaters have increasingly relied on digital maps and "print-on-demand" charts from the National Oceanic and Atmospheric Association that get updated far more regularly. Next on Newser: Merkel Calls Obama: Did You Tap My Phone? I've worked and played on a lot of boats over the past 25 years and every one of them has had a set of paper charts for the local area and beyond. As a Bluefin harpooner and a deck hand on offshore lobster boats I have charted dates and other critical info on these charts with a sharpie for future reference. Even on boats with the newest GPS/plotters/ with RADAR overlays, we reference paper charts often. They look good mounted and framed also. Yeah ...well, I have never had the batteries die on my litho-ed chart, or dropped it and had it declare itself dead. I have actually seen things get WET aboard a boat in certain conditions and have NEVER lost the utility of a "lithographed" chart due to spray. Y'all have fun now, y'hear? Early movie makers printed photos of every frame of a film they made. No, I'm not talking about the Mutoscope which was a photo based movie viewer, but it was a practice meant to preserve films in the nitrate era. So some of the films from that only survive in that photo format. The other reason was for copyright protection. It was thought to be the only way to protect a film at the time. I'm sure you have seen the print of Fred Ott's sneeze. So, fast forward to Stephen Spielberg. So, what does he do with his movies? First of all, he prints out black and white color separation reels. Its a cousin to Technicolor. The vault also contains a safety negative and positive. The sound channels are printed on safety film along with CD and DVD. I think the best thing to do would follow the record industry. They still print up some vinyl to keep the process alive. its very small numbers but you can obtain vinyl on most commercial releases.